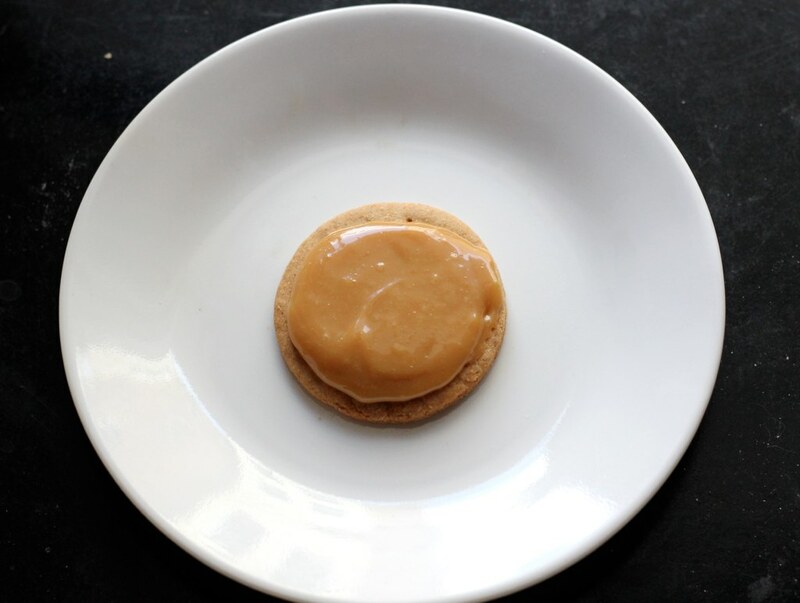 Remember those Dulce de Leche Digestive Cookies I shared with you last week? 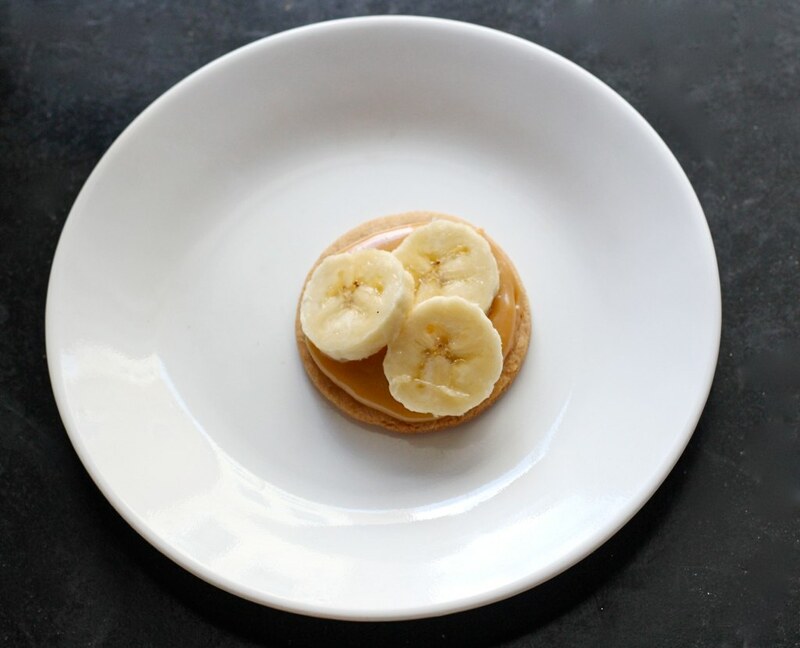 What if I told you that they were one of the four ingredients needed to make a quick and simple version of a classic dessert popular in Ireland and the UK? Curious, my dear reader? Read on! Ireland holds a special place in my heart. My dad's side is Irish, I'm born two days before St. Patrick's Day, my first name is Irish and I did my capstone project for my Master's on representations of women as Ireland in 19th century non-canonical literature (thrilling, I know!). Plus, I've spent time all over the country--from cupcakes in St. James Square and learning to pour the perfect pint of Guinness in Dublin, to curbside cheese feasts and hanging out with cute Irish rockstars in Cork, to breaking the rules at the Cliffs of Mohr and eating brown bread ice cream in Dingle. It wasn't until my most recent trip that I truly fell in love with the Emerald Isle. 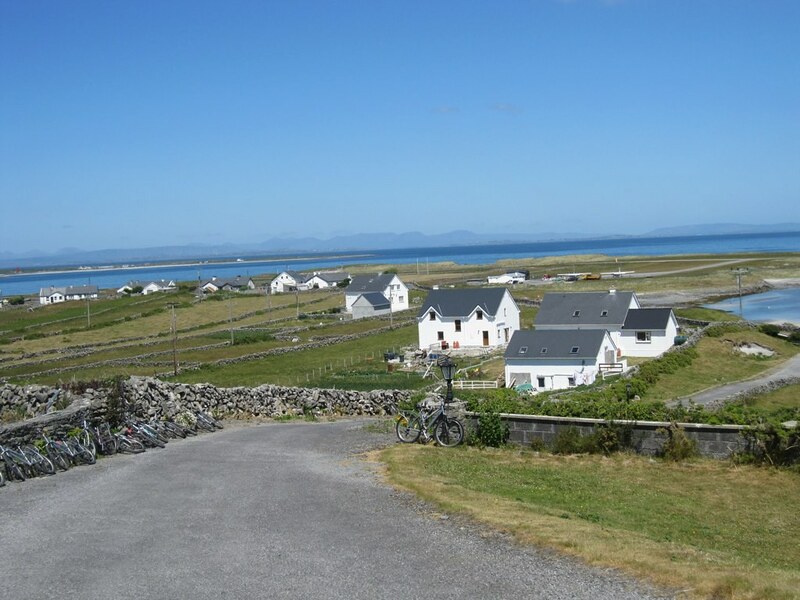 I was lucky enough to be the guinea pig in a study abroad program for graduate students and spent my summer in Galway. Being the only grad student in a group of 25 undergrads was challenging at times because I was in a different place in my life and it was sometimes hard to relate. 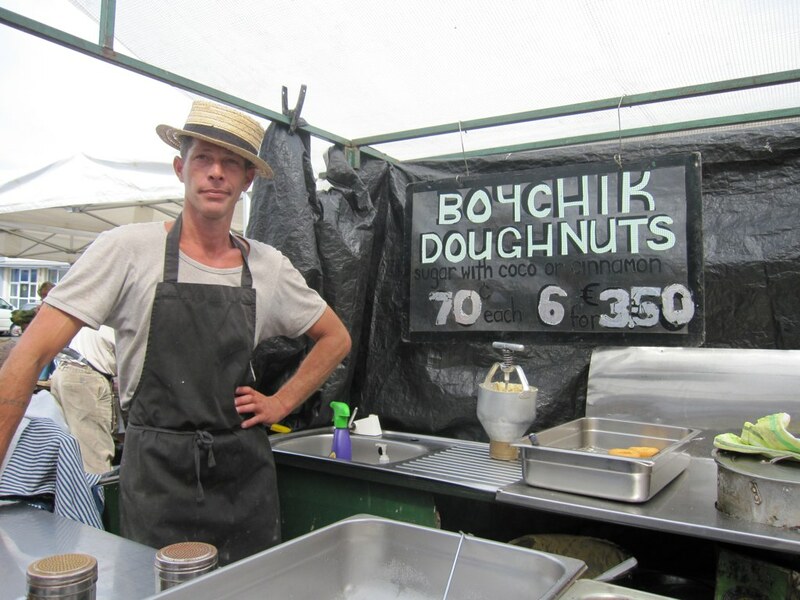 When I needed some time to myself, I went on adventures, reading by the beautiful Bay, trying new pubs, chatting up locals, making friends with the Donut Monger and testing out nearly every bakery in the city center. 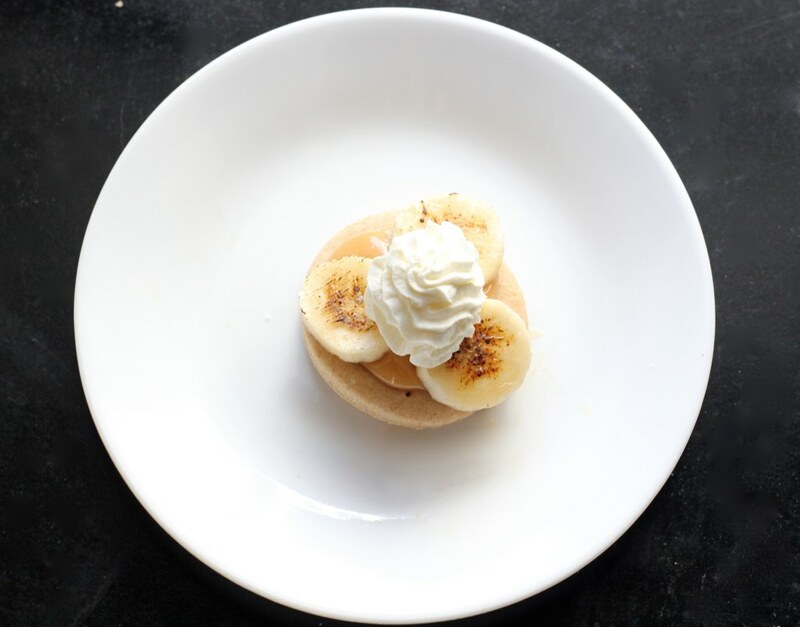 On one of those trips, I had my first taste of Banoffee Pie, a simple but decadent dessert. 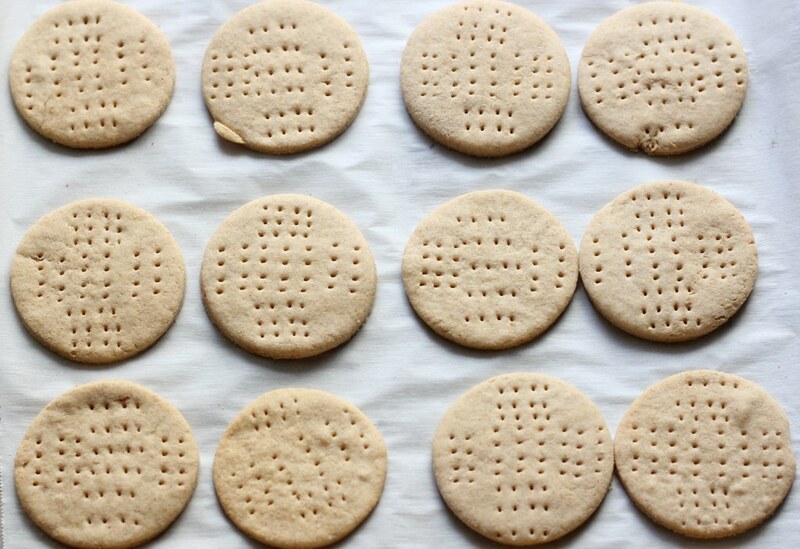 The crust is traditionally made with crushed digestive cookies (similar to a graham cracker crust). Next comes a layer of gooey, caramel toffee. Slices of banana are placed on top of that and the whole thing is covered with fluffy whipped cream. It's like a banana cream pie that skips right to the good stuff and subs toffee for pudding. Genius, if you ask me. Step 2: Cover with toffee, dulce de leche or caramel sauce. 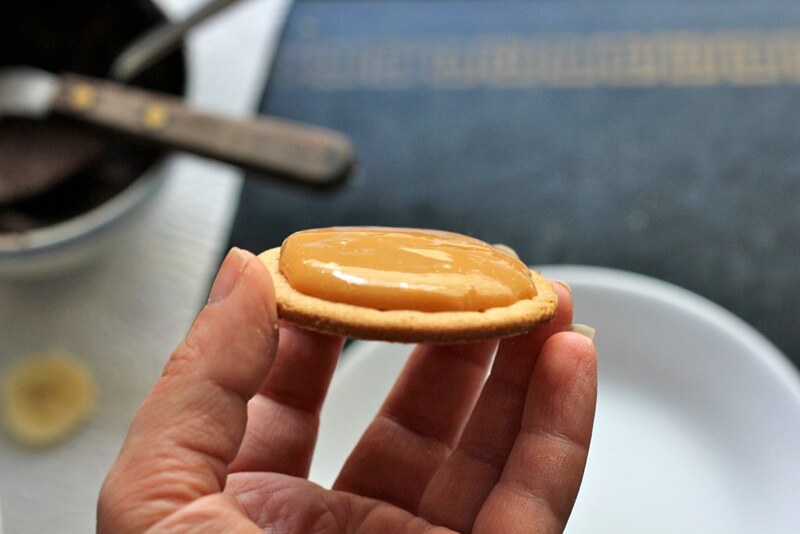 **Tip** Remember, to be generous with the toffee, caramel or dulce de leche! 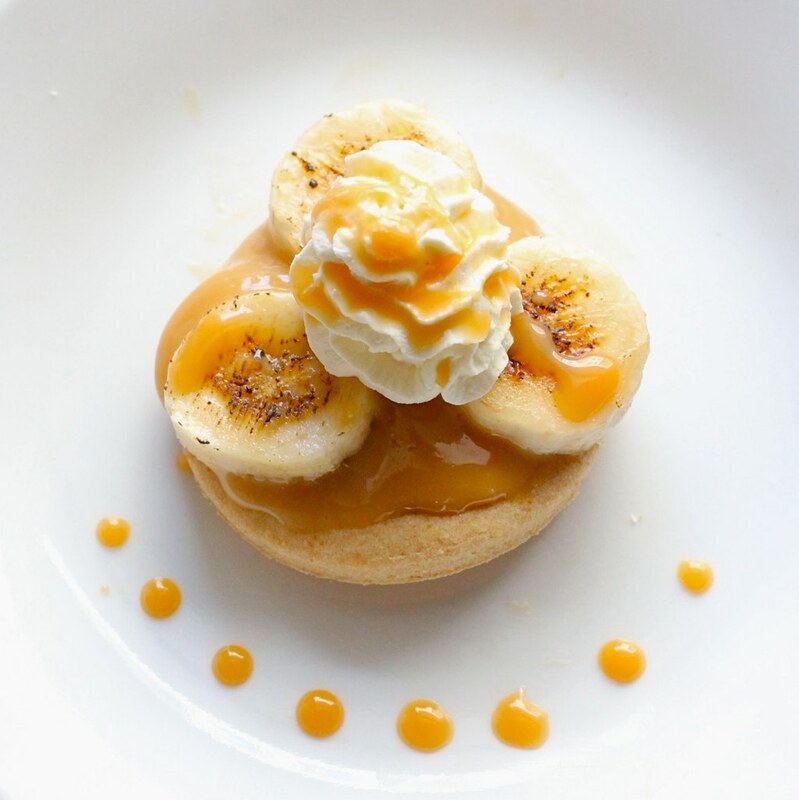 Traditional banoffee pie has a nice layer of caramelly goodness below the bananas! 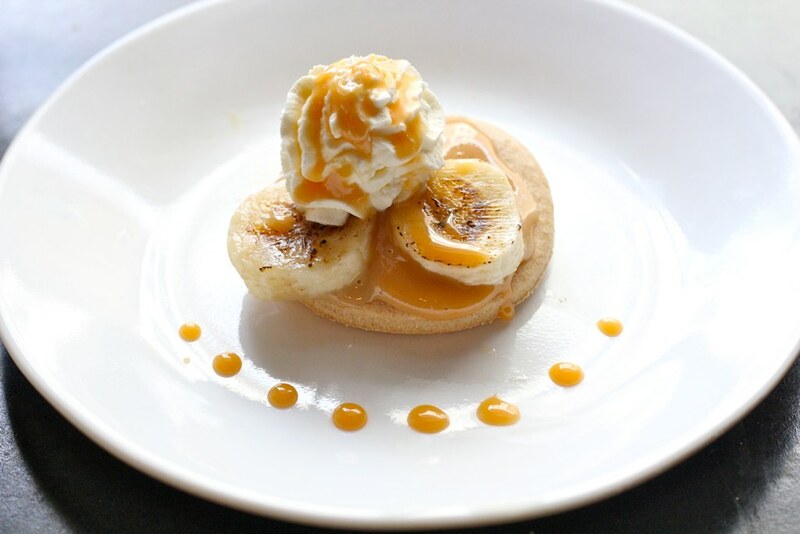 Step 5: Plate the tart and drizzle with toffee, dulce de leche or caramel sauce & Enjoy! 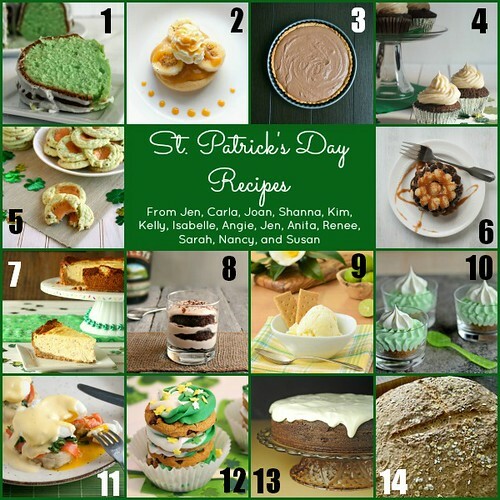 We've got a ton of delicious recipes lined up to make your St. Paddy's Day a success, so be sure to check out the amazing dishes, drinks & desserts from the lovely ladies below! 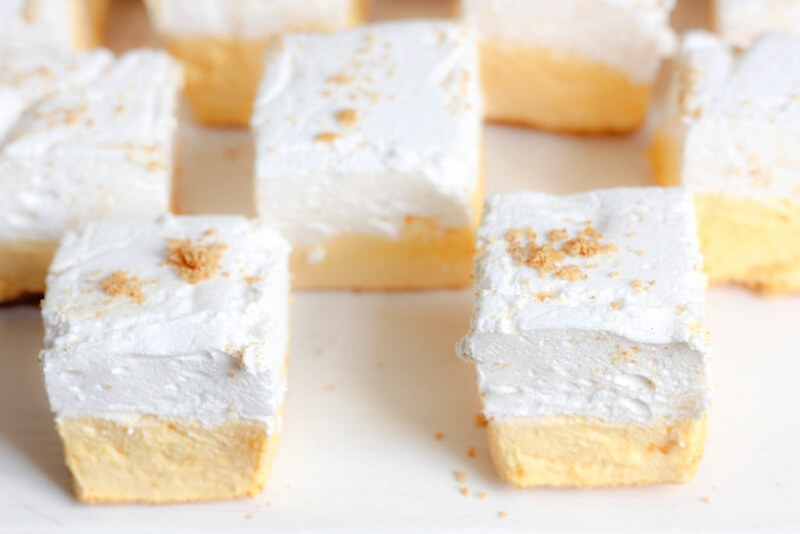 Admittedly, I made these meyer lemon meringue pie marshmallows a week ago. 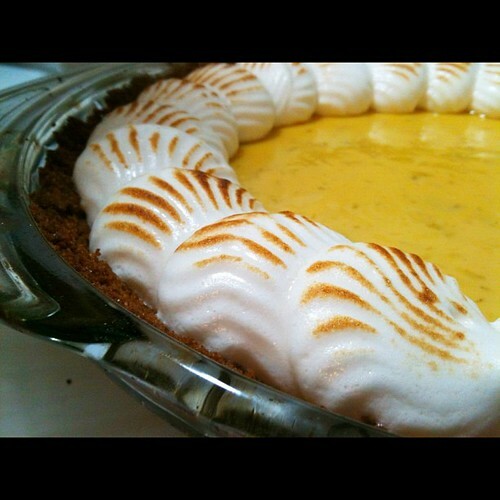 They were inspired by the loveliest, silky meyer lemon curd ever to come out of my kitchen. As I kept digging my spoon into the mason jar of buttery yellow slightly tart goodness, an idea struck me: the curd had the best part of a lemon meringue pie but without the hassle of baking a crust. 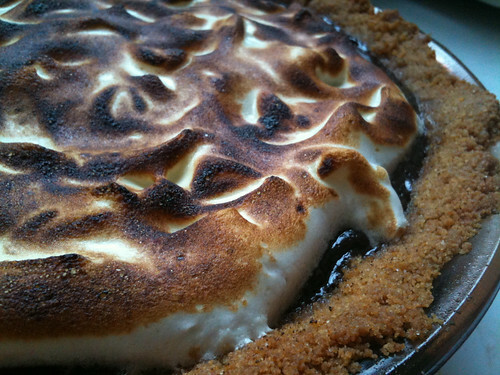 And, as I gorged myself on several more spoonfuls mused upon the thought of pie, I was transfixed by the idea of dreamy meringue and my mind jumped straight to marshmallows. ANYWAY, with all that staying-indoors-yucky-feeling-ism, I could use a little sunshine in my world. 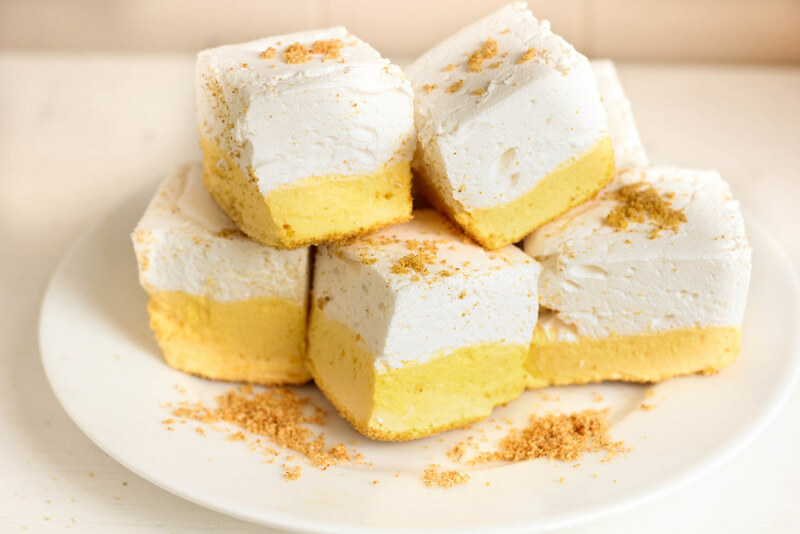 Enter these lemon meringue pie marshmallows. 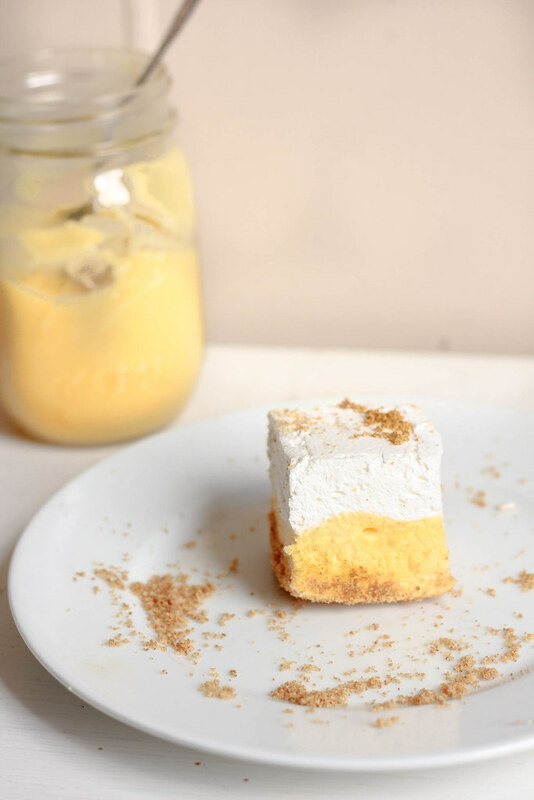 The unflavored marshmallow flavor and texture clearly lends itself to being meringue's stunt double, but the bright just barely tart flavor of the meyer lemon layer really steals the show. Because of the acidity in the lemon juice, it doesn't get quite as stiff as the normal layer of marshmallow; in fact, it whips up like a silky, dream. Rest assured, however, it should set just fine. 1. Combine corn starch & confectioner's sugar in a small bowl. Grease an 8x8" pan with cooking spray or canola oil. Dust with confectioner's sugar mixture to coat. 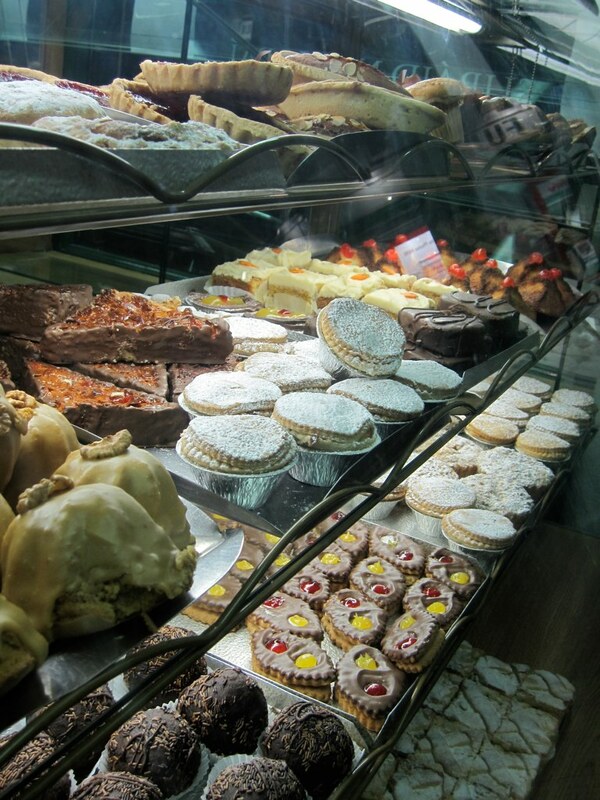 Tap out excess sugar. Save remaining mixture for tossing the finished marshmallows in. 2. Prepare the half-batch of vanilla marshmallows and spread into the bottom of the prepared 8x8" pan. 3. Make the lemon layer. Pour 1/2 cup lemon juice into the bowl of a stand mixer. 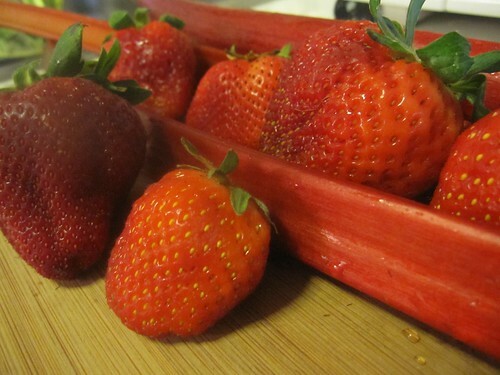 Sprinkle powdered gelatin over the top of juice and allow to bloom, approximately 5 minutes. (Note, the mixture does not bloom as solidly as a water-gelatin mixture would. Don't be alarmed). 4. Meanwhile, combine corn syrup, sugar, 1/4 cup water in a small pan. 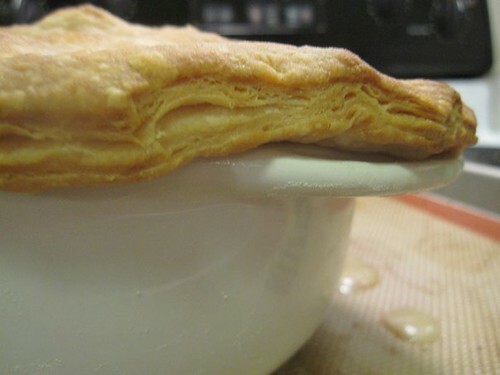 Heat on medium until mixture reaches soft-ball stage, or 240F. Remove from heat. 5. Turn stand mixer on low, begin drizzling hot syrup into the gelatin. Once combined, turn speed up to medium. Whisk for 5 minutes. 6. Turn mixer to high. Whisk for 7 minutes. Add yellow food coloring until desired color is reached. Add lemon zest. Whisk to thoroughly combine. 7. Using a greased off-set spatula (trust me on this one, it's gonna get sticky and messy!) evenly spread the lemon layer on top of the vanilla marshmallow layer. Allow to set for at least 8 hours. 8. Once set, slice into cubes (or wedges! Gah! why didn't I think of that until this very second?) and dust with confectioner's sugar/corn starch mixture. Store in an airtight container for up to 2 weeks. 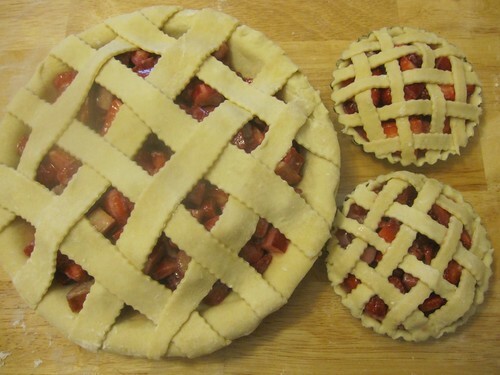 Pi Day: The best day of the year! Anyway, I've spent a good week wracking my brain thinking of ways to celebrate. Would I go the sweet route and stick with classics and old standbys? 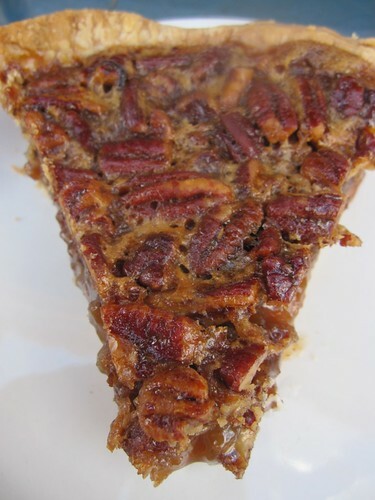 Or would I shun my sweet tooth and make something savory instead? 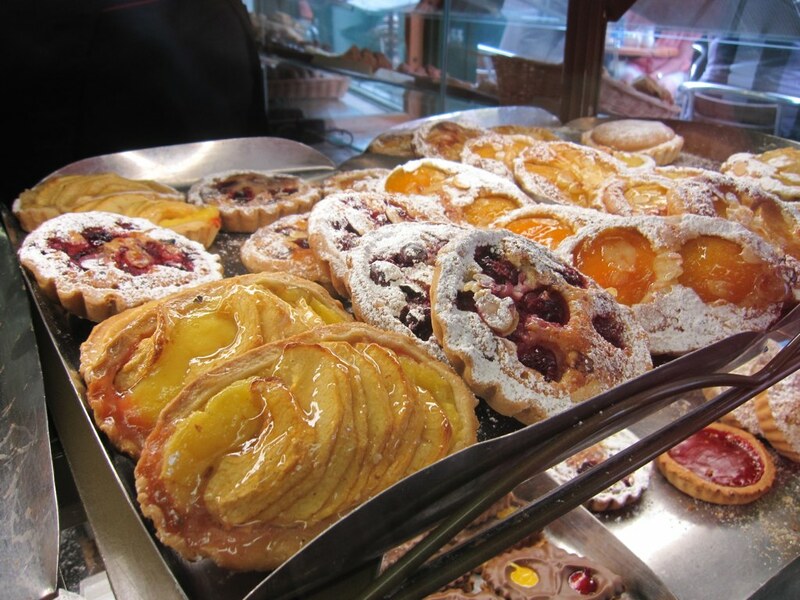 In the end, my sweet tooth won out, but flaky crusts did not. I went with graham cracker crusts, married them with Italian meringue, and took the combo in two totally different directions. 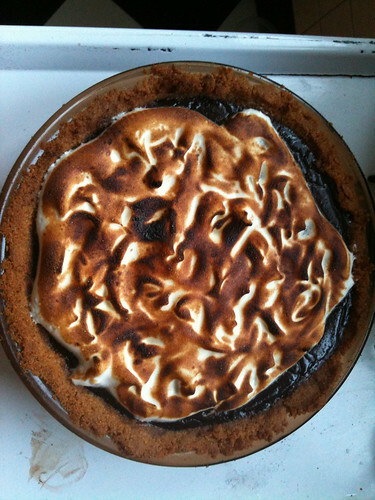 Therefore, I give you my take on the s'mores pie with adjustments to how I'll most likely make it next time. Crush gram crackers in food processor or place in a ziplock bag and take a rolling pin and your aggression out on the poor things. 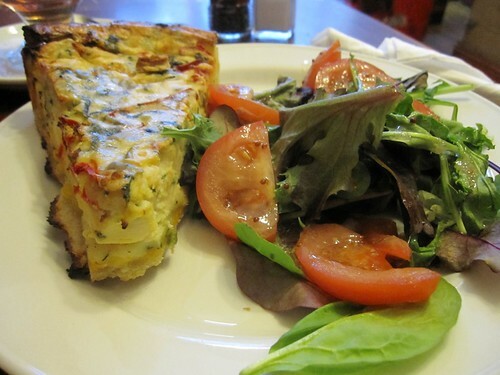 Aim for a fine crumb. 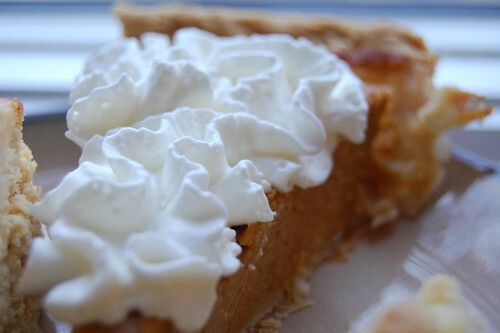 No one likes a hunk of graham cracker distracting them in the middle of their pie-eating! Add sugar to crumbs to combine. Mix in butter thoroughly and press mixture into a 9" pie plate. Bake in pre-heated 375 oven for 6 minutes. 1. Combine the cornstarch, sugar and salt in the top of a double boiler. Slowly whisk in the milk, scraping the bottom and sides with a heatproof spatula to incorporate the dry ingredients. Place over gently simmering water and stir occasionally, scraping the bottom and sides. 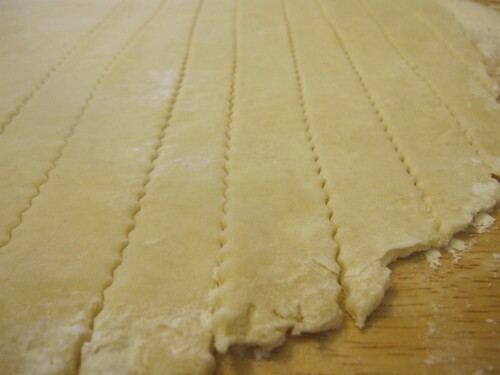 Use a whisk as necessary should lumps begin to form. After 15 to 20 minutes, when the mixture begins to thicken and coats the back of the spoon, add the chocolate (if you're using sub-par chocolate like I did, the time for the supplemental cocoa is now! Add the sub-par chocolate first. Once it's melted, add the cocoa powder). Continue stirring for about 2 to 4 minutes, or until the pudding is smooth and thickened. Remove from the heat and stir in the vanilla. 2. Strain through a fine-mesh strainer (I skipped this step. I'm lazy and had no lumps in my puddin') and into the pre-baked graham cracker crust. You'll most likely have extra pudding, so you can either grab a spoon [DON'T JUDGE ME!] or put the rest in ramekins, to which I will say, "OH YOU FANCY, HUH?" Top with the marshmallow goodness of your choice: good ol' fluff, Italian meringue, or a layer of homemade marshmallow. I would recommend filling a piping bag with whatever marshmallow you choose (the latter choice especially) and a fancy tip (I used an Ateco 869 for the key lime) and making the top pretty. 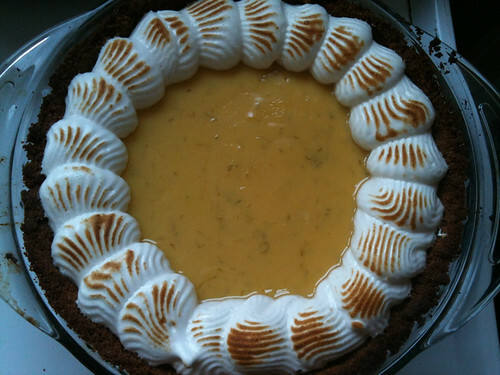 Then you can either get out your kitchen blow torch [muahahaha] or stick your pie under the broiler til things look just golden brown and if you burn it, tell everyone you were trying to capture that authentic camp-fire burnt marshmallow experience...riiight. Yesterday I promised you the dramatic conclusion of what I made from my farmers market purchase. Well, dear readers, fear not. I am about to deliver on my promise. 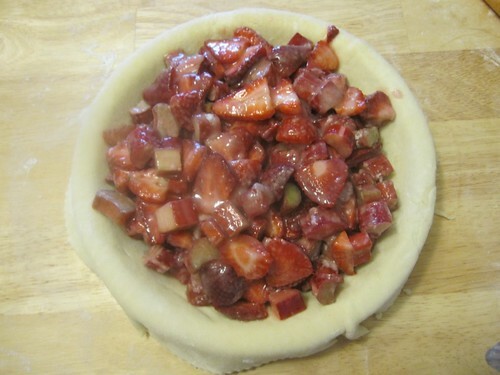 I present to you, completely from scratch: strawberry rhubarb pie! Yes, you read right. 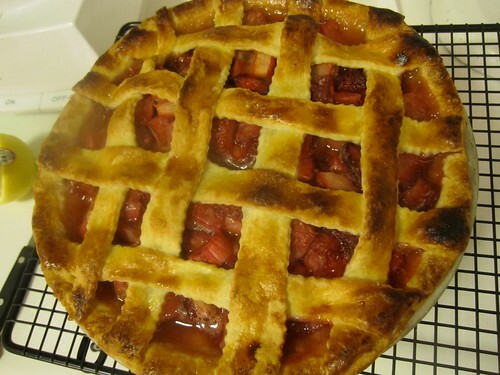 Not only did I successfully bake my very first strawberry rhubarb pie, but I also made the crust from scratch and it was neither chewy nor greasy. The pictures are beautiful because of the amazing red color, so I'll let them speak for themselves [recipe at the end of the post]. I left it in the oven for a smidge too long (hence the dark spot to the right), but I ate that part and it didn't even taste burnt to be completely honest! 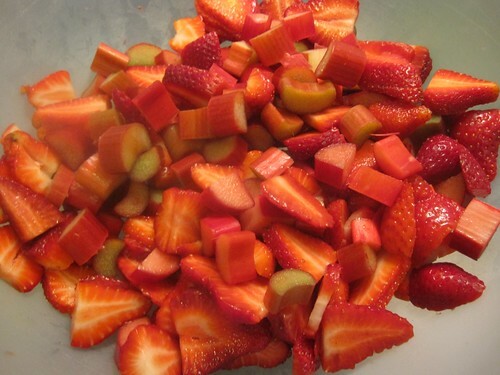 If you want to take advantage of in-season fruits, head over to your neighborhood farmers market and pick up some strawberries and rhubarb (and a pint of vanilla ice cream) and have yourself the perfect springtime tangy sweet treat! 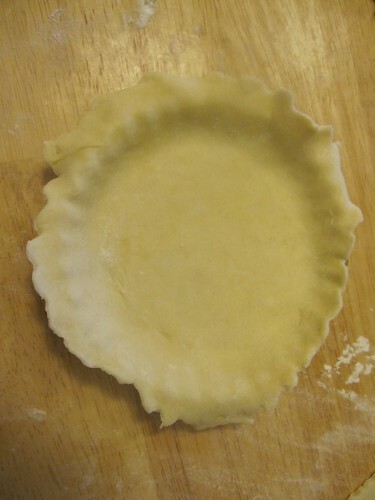 For the pie crust, I'd recommend the award-winning recipe from my friends Mike & Charlie over at Brooklynauts.com.